Simple, delicious food that even university students can make! 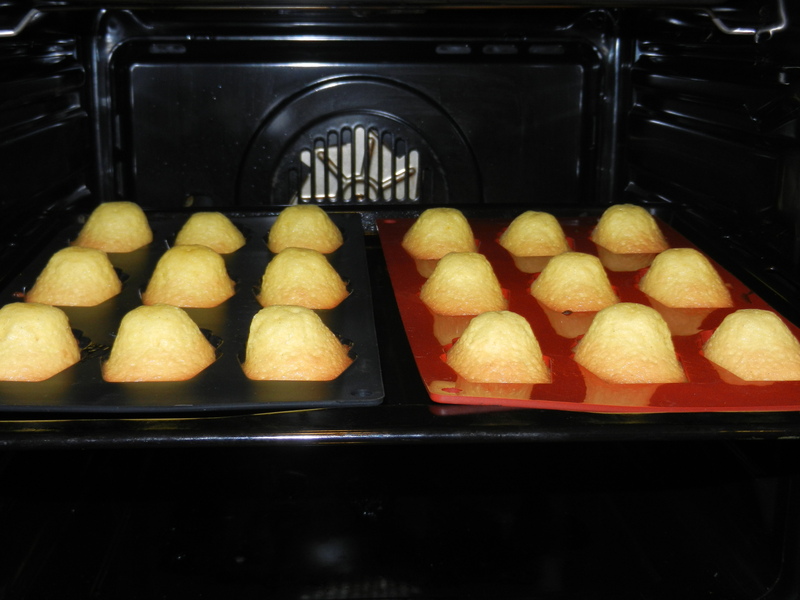 I know that madeleines are reputed to be difficult to make but the reality? This is one of my easiest recipes! It’s the kind of thing I sit down to make when I have an exam in 3 days and need to relax. (AP Psych, and yes, this monday). 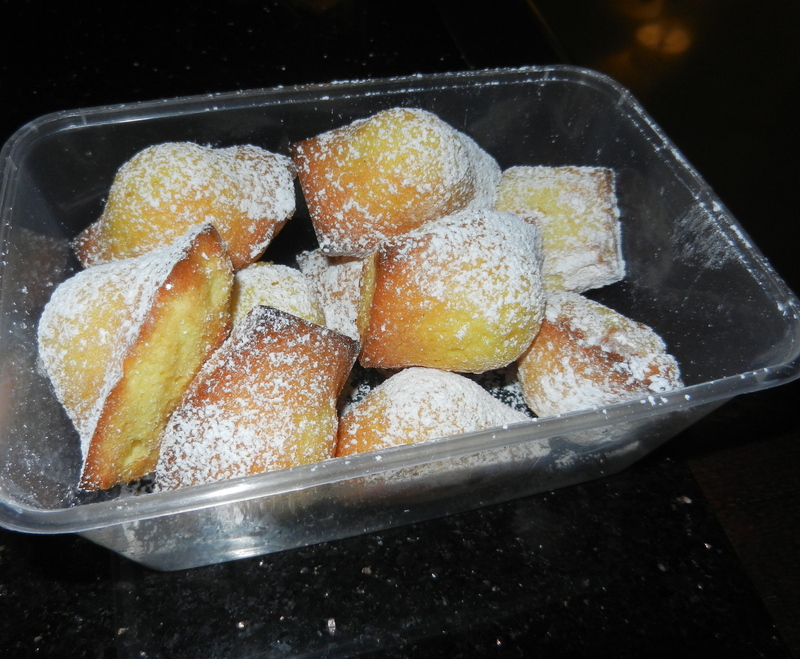 I first learnt how to make madeleines when I went on a language immersion trip to Paris. We spent one entire afternoon at a cooking school there and learnt how to make many delightful French goodies. As for the infamous “hump”, well, this recipe is fool-proof if you follow the instructions. Yes, actually fool-proof! Add a bit more or less, add an ingredient, heck, you could try eye-balling it (though I wouldn’t), it’d still work! 1) Chill out. It’s not rocket science. Besides, it’s made by the French who are infamous for guestimating recipes! 2) Let the batter rest for 20 minutes. Now go make yourself some madeleines! Sift the yeast and flour together. Add this to the bowl and mix. 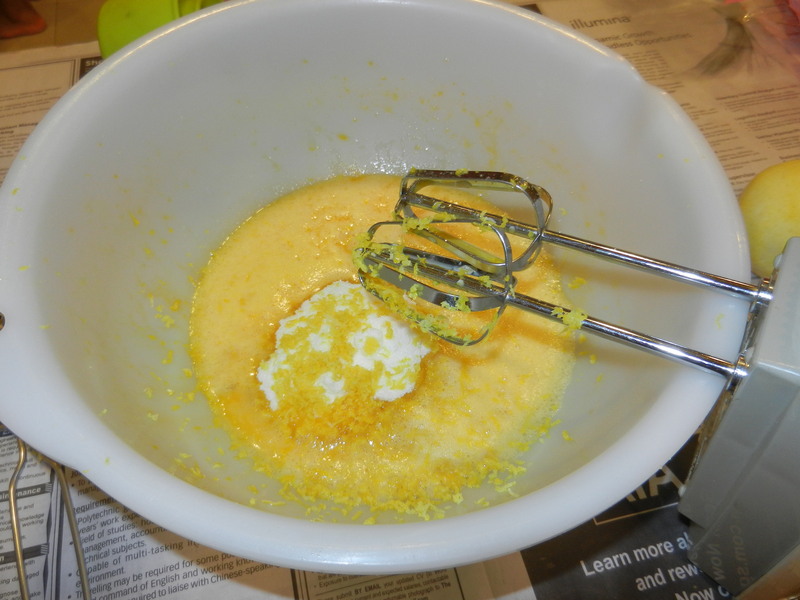 Melt the butter in a pan (I like to brown it a tad too) and then add to the bowl along with the milk. Mix this all together. Now let the batter rest for at least 20 minutes. Depending on the weather, you can either leave it out or put it in the fridge as I do. Butter the molds (not necessary if you have silicon molds but it helps nonetheless.) and fill 2/3rd of it. Bake it in 220 degrees for about 6-7 minutes and then bring it down to 170 degrees and bake for another 5-6 minutes. It should need approximately 10 minutes in the oven. (You can always poke with a toothpick to check if done). Once they are out and cooled, dust some icing sugar on top (not necessary but oh so tasty) and voila, you have beautiful, humpy madeleines! If you REALLY love the taste of lemon (we are talking SERIOUS citrus people), you can also dip it in a lemon glaze like David Lebovitz does. This entry was posted in Recipes by Deets. Bookmark the permalink.